1. Turn on LOCATION on your phone or tablet. 3. Tap on an activity you would like to go to. 4. Tap on or to get directions to the activity. The drive features a myriad of landscapes, shaped by natural processes in New Zealand’s young, but varied, geological history. 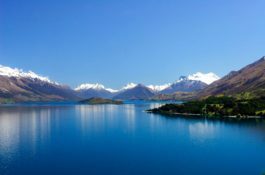 Lakes Wakatipu, Te Anau and Manapouri were formed by the gouging action of huge glaciers, which then melted, creating lakes. Sandstone hills, formed 150 million years ago during uplifting and folding of the earth’s crust, are visible west of Tuatapere. Limestone rock outcrops and caves at Clifden were created by the streams. In The Catlins, distinctive parallel ridges and valleys show the Southland syncline. Beech/tawhai forest dominates the Fiordland National Park and the Takitimu ranges. Other species present include kamahi and podocarps such as miro, rimu, kahikatea and totara. There is an abundance of ferns, mosses and perching plants due to the high volume of rainfall. 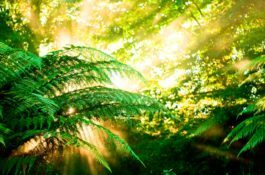 The Catlins are clothed in rimu, kamahi, rata and beech/tawhai forest, making it the largest area of native forest on the South Island’s east coast. The Southern Scenic Route provides opportunity to view some of New Zealand’s unique wildlife. Visitors need to appreciate that these animals are wild and approaching them may create danger for yourself and/or the animal. Please adhere to the protocols as outlined. All native animals are protected by law and many species are endangered, so simple rules are designed to enhance the experience for you and to protect wildlife. Blue penguins/korora nest in burrows along the coastline. About 450 pairs of endangered yellow-eyed penguins/hoiho are found on the south-east coast. 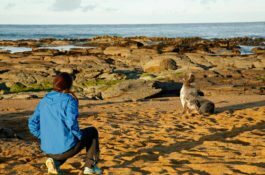 Designated viewing platforms and hides at Roaring Bay and Curio Bay are the best vantage points. 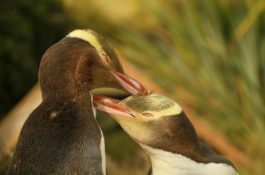 Yellow eyed penguins/hoiho are extremely shy and vulnerable to disturbance. Please adhere to the guideline signs on site. The best time of day for viewing penguins is a few hours either side of dawn and dusk.